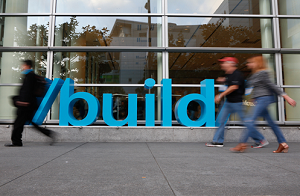 Microsoft used its Build 2016 developer conference this week to roll out new free development tools to help programmers scale their apps for all platforms. Steve Guggenheimer, corporate vice president of Developer eXperience, delivered the final Build keynote address. “In terms of reach, Office is one of the few platforms in the world that provides developers with access to over a billion users across a variety of devices,” said Microsoft. There are new extensions and new connections to the Microsoft Graph – this is an intelligent fabric that applies machine learning to map the connections between people, content and interactions across Office 365. NOTE: The Microsoft Graph, made generally available last fall, offers developers unified access to insights about how workers can be more productive. Microsoft previewed six new APIs for the Microsoft Graph that let developers link Office 365 data to third-party solutions. For example, one extension automatically compiles and exposes a list of times a group of people are available to meet, making it easier to work across organisations. Microsoft’s Scott Guthrie announced on Thursday that Microsoft is helping developers build native cross-platform mobile applications by including Xamarin’s capabilities in Visual Studio Community and also making Xamarin Studio for OS X free as a community edition. NOTE: In addition, Visual Studio Enterprise subscribers will now have access to Xamarin’s enterprise capabilities at no additional cost. The company also announced a commitment to open source the Xamarin SDK, including its runtime, libraries and command line tools, as part of the .NET Foundation in the coming months. “With these announcements, Microsoft extends its commitment to offering choice and flexibility to every customer across every platform and device — merging the .NET and Xamarin ecosystems together to provide an unmatched mobile development and DevOps experience. Now developers can deliver fully native cross-platform mobile app experiences to all major devices, including iOS, Android and Windows,” said Microsoft, in a press statement. • The general availability of Azure Service Fabric, a microservices application platform developers can use to design apps and services that are available 24×7 at cloud scale. • A preview of Azure Functions that extends Azure’s platform services to serverless compute for event-driven solutions. • New Azure IoT Starter Kits that allow anyone with Windows or Linux experience to build IoT prototypes that use all Azure’s IoT offerings. • A preview of Power BI Embedded, which allows developers to embed interactive reports and visualisations in an application. Finally, the developer portal for Office 365 Connectors is now available for developers to write and publish their own connectors. Connectors deliver relevant content, such as updates on financial records or helpdesk logs, from popular apps and services directly into Office 365 Groups conversations. The developer portal is launching with connectors such as Asana, Salesforce, Trello, Twitter, UserVoice, Zendesk and many more.